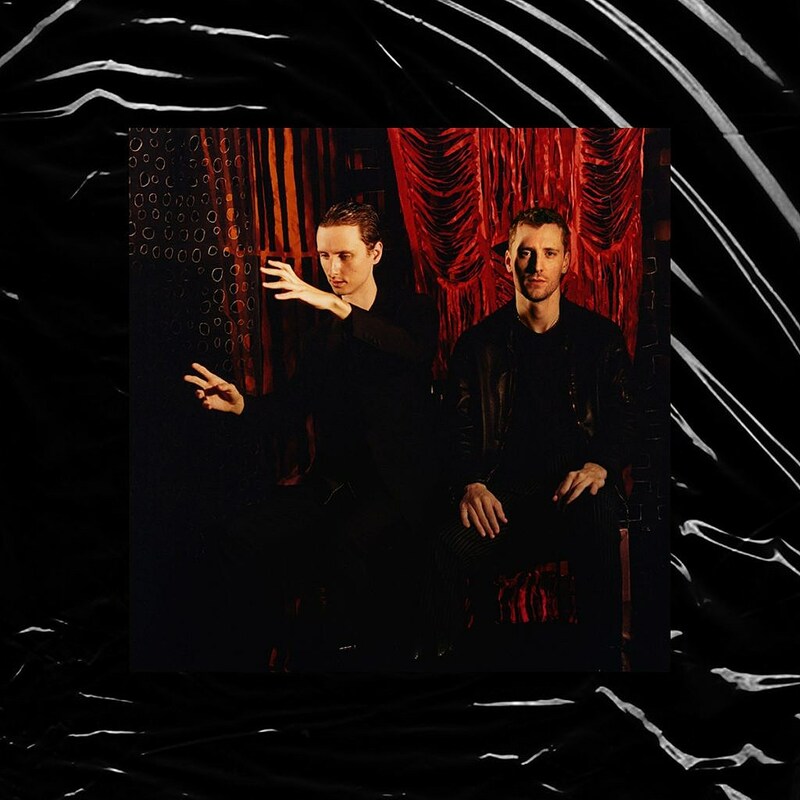 Arty, ambitious UK group These New Puritans are back with new album Inside the Rose which is out March 23 via BMG. They’ve just shared the alluring first single and title track, which is like a modern update of the ’80s groups like The Associates and The Blue Nile. The single comes with an arresting, NSFW video directed by Harley Weir. Beach Slang are releasing a two-song covers EP on Chain of Strength guitarist Ryan Hoffman’s new Bridge Nine imprint Quiet Manic. It’s titled MLPS (as in Minneapolis), the cover art features a pic of iconic Twin Cities venue First Avenue, and the EP features covers of songs by two of Beach Slang’s biggest Twin Cities influences: Husker Du/Sugar singer Bob Mould’s “I Hate Alternative Rock” and Replacements singer Paul Westerberg’s “AAA.” “This is the spot where my favorite rock ’n’ roll found its snot, where the tossed-away found a place to get untossed,” Beach Slang’s James Alex told New Noise. The EP was produced by fellow Replacements fanatic Robby Takac of Goo Goo Dolls (who Beach Slang are often compared to), and their take on “I Hate Alternative Rock” is a no-frills punk ripper. Beach Slang are also opening for another of their biggest influences, Jawbreaker, in the UK this spring. After releasing one of the best albums of 2018, Rico Nasty is back with a new single that proves she just keeps moving forward. It’s a banger. Katie Harkin used to front underappreciated indie rock band Sky Larkin, and went on to be the secret weapon in live lineups of Sleater-Kinney, Wild Beasts, Flock of Dimes and Courtney Barnett’s band. She’s now releasing new music as Harkin, with a new song “Mist on Glass” out now. Featuring a winning chorus, this synthy rocker is not a million miles from what she did in Sky Larkin. Let’s hear more. Mountain Man member Molly Sarlé is preparing to release a solo album later this year on Partisan Records. More details about that are still to come, but for starters she’s shared a new single, “Human.” It’s accompanied by a video directed by D.L. Anderson and Molly herself, which features some familiar cameos, including her Mountain Man bandmates Amelia Meath and Alexandra Sauser-Monnig, and Jenn Wasner of Wye Oak. The YBN crew released one of the best rap albums of 2018 with YBN: The Mixtape, and though YBN Nahmir was the group’s first big breakout, YBN Cordae has been emerging has the group’s most skilled rapper in a traditional sense. New singles like “What’s Life” and the new “Locationships” continue to make that very clear. The Libertines’ Pete Doherty has a new album on the way, the self titled debut of Peter Doherty & The Puta Madres which is out April 26. The record was recorded live to tape and first single “Who’s Been Having You Over?” definitely benefits from that kind of electricity. With prominent organ, there’s a little Squeeze vibe given to the very Doherty-style melody and vocal delivery… whether you know him as Pete or Peter. Deer Tick’s new album, Mayonnaise, is out this week and here are two more songs from it: the swaying “Bluesboy” and a cover of Ben Vaughn’s “Too Sensitive for This World.” More on those here. Comedian Tim Heidecker is releasing Another Year In Hell: Collected Songs from 2018 which pulls together various political songs he released last year. “It was another year in Hell,” writes Tim. “And while it didn’t generate the number of songs the year before did, I’m glad to have these songs I’ve released throughout the year in one handy package. And for the first time you can hear a new orchestration of ‘Tobin and the Judge’ by Bobby Halverson. This song really only showed up on YouTube as a backstage live recording so I’m so glad there’s an official and quite beautiful version of it now. Also new to most everyone’s ears is: ‘Rake the Floor’ which I wrote for Father John Misty’s Wildfire Relief Fundraiser. Please enjoy.” He’s just released the video for “The Ballad of ICE Agent Ray” which presents the lyrics in the form of Trump tweets, complete with misspellings. Glasgow-London duo Sacred Paws (Rachel Aggs of Shopping and Eilidh Rodgers, formerly of Golden Grrrls) released their debut album Strike A Match in 2017, and now they’re back with a new single, “Brush Your Hair,” their first for Merge. The rollicking track, with jangly, jaunty guitars, should immediately appeal to fans of Shopping. Australia’s Jo Schornikow tours with Phosphorescent as a keyboardist, and she’s preparing to release a solo album, Secret Weapon, on March 29 via Keeled Scales. Her new single “Incomplete” is worlds away from Phosphorescent in a good way, pairing her hushed vocals with smooth synths. Harms Way vocalist James Pligge is now also fronting the death metal band Hate Force, which also includes former Weekend Nachos member Drew Brown and Drew’s Like Rats bandmate Todd Neif. Their self-titled debut album comes out February 22 via Closed Casket Activities and you can hear the brutal “Stolen Valor” now. Iron & Wine is reissuing his classic 2004 sophomore album Our Endless Numbered Days on March 22 via Sub Pop (pre-order), and it contains some bonus material including this demo version of “Passing Afternoon.” It’s somber and more melancholic than the original, and very worth hearing. New Luminelle Records signee Jackie Mendoza describes her music as “ukulele electroc pop.” Her new single, “De Lejos” was co-produced by Rusty Santos, who also worked with her on her debut EP, due out soon. Brooklyn’s Tredici Bacci have made a name for themselves by recreating the kind of groovy, orchestral, soundtracky pop that falls somewhere between Burt Bacharach and Ennio Morricone. The group’s second album, La Fine Del Futuro, will be out via NNA Tapes on March 8. The first single dives into the deep shag, declaring “Everything was better in the 1970s.” The video, directed by Zachary Scott, plays on even more ’70s tropes. Watch below and if you’re in NYC they’ll celebrate the LP at Mercury Lounge on Valentines Day. The Faint have unleashed another track from Egowerk (due 3/15 via Saddle Creek), “Alien Angel,” which is another fine taste of their trademark gothy synthpop. Boston doomers Magic Circle are releasing their third album, Departed Souls, on March 29 via 20 Buck Spin, and they’re currently streaming the title track. It’s got all the psychedelic, fuzzed-out retro riffage and howling vocals you want from this kinda thing, and a vintage-looking video to match. Animal Collective’s Avey Tare is releasing a new solo album in March and we wrote more about lead single “Saturdays (Again)” here. Folk-punk legends the Mekons are back with their first album in eight years and here’s the swaggering lead cut. More about it here. Josh Ritter’s new album, Fever Breaks, was produced by Jason Isbell and features the 400 Unit, too. Learn more here. Brooklyn duo TMBOY will release new album Steam next week and have just shared the airy, arpeggiated “The Light” ahead of the LP’s release. “The lyrics are about feeling centered, present and content but not divorced from reality.. just at ease,” says singer Sarah Aument. “It came together really quickly towards the end of making the record, and it just felt right. This song kind of reminds me of the post-it note I had on my desk for years that read ‘Stay positive! Drink water! '” For folks in NYC, TMBOY play a release show at Union Pool on 2/8.